The secret report, the result of a 22-month investigation by Robert Mueller into possible collusion between the Trump campaign and Russia and obstruction of justice, was handed to Us Attorney General on Friday. 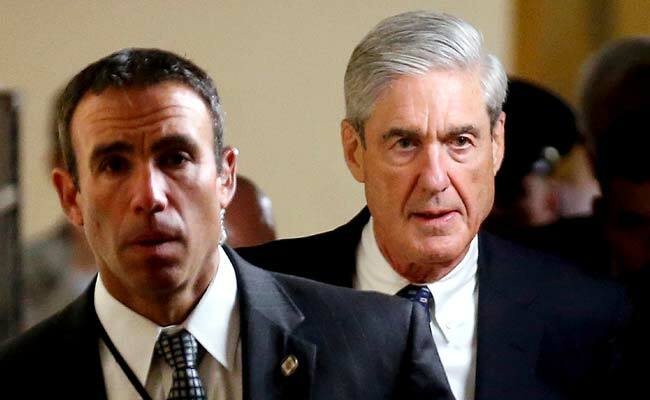 Robert Mueller probed if Donald Trump colluded with Russia in 2016 elections. US Attorney General Bill Barr was expected to hand Congress as early as Saturday the key findings of the Russian meddling probe with Washington anxious to learn if President Donald Trump is implicated in serious wrongdoing. Chronic tweeter Trump, who headed out from his Florida residence early for a round of golf, remained uncommonly silent after spending two years repeatedly labeling Special Counsel Robert Mueller's investigation an illegal witch hunt -- suggesting the White House has still not seen the report. 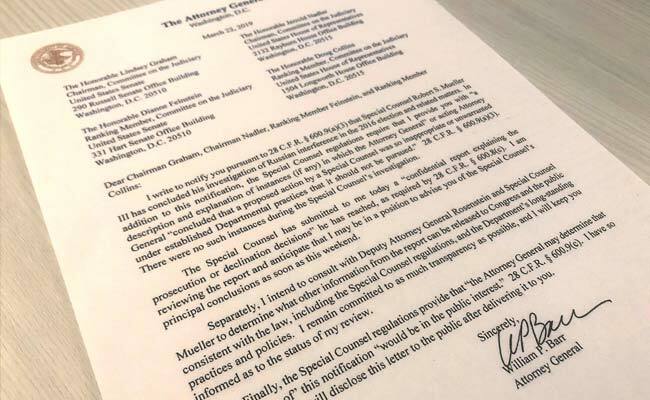 U.S. Attorney General William Barr's letter to US lawmakers stating that the investigation by Special Counsel Robert Mueller has been concluded. With Mueller prevented by longstanding Justice Department policy from indicting the president himself, there were no hints on whether the report damns or clears Trump of criminal behavior.